I am excited to be apart of a great Jeep Twitter Party. Are you a mom or dad who wants to be fit this summer? Well you can get fit this summer. You can connect with other parents and hear from fitness experts how to be fit and healthy with your family. You can get in shape by going out with your family and ride your child on a Jeep Jogging stroller. Jog your way around to the park, a friends or families house and get fit. 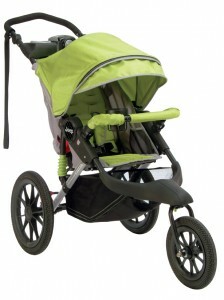 Here are a few of many features you should love about the J is for Jeep Jogging stroller! 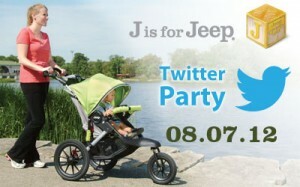 We hope you can join to win a J is for Jeep Jogging stroller and get fit and healthy. Just go on Twitter! No need to RSVP, just come to the party by following @Kolcraft on Twitter and using hastag #JisJeep. The Jeep Twitter Fitness Party starts on Tuesday, August 7 from 11 am until noon CST. Good Luck! Check out halloweencostumes4kids.com and browse children Halloween costumes for your own this fall! We have an amazing selection, so check us out!